Find our more HERE on the nomination criteria and to fill out your nomination form! Please send all completed forms to info@norwoodgrovebiz.ca before April 5th 2019! We want to hear from our local businesses! We have created a short survey for local Norwood Grove businesses to help us keep our information up to date and to gain a better understanding of what you expect from your BIZ! Fill out our survey HERE! 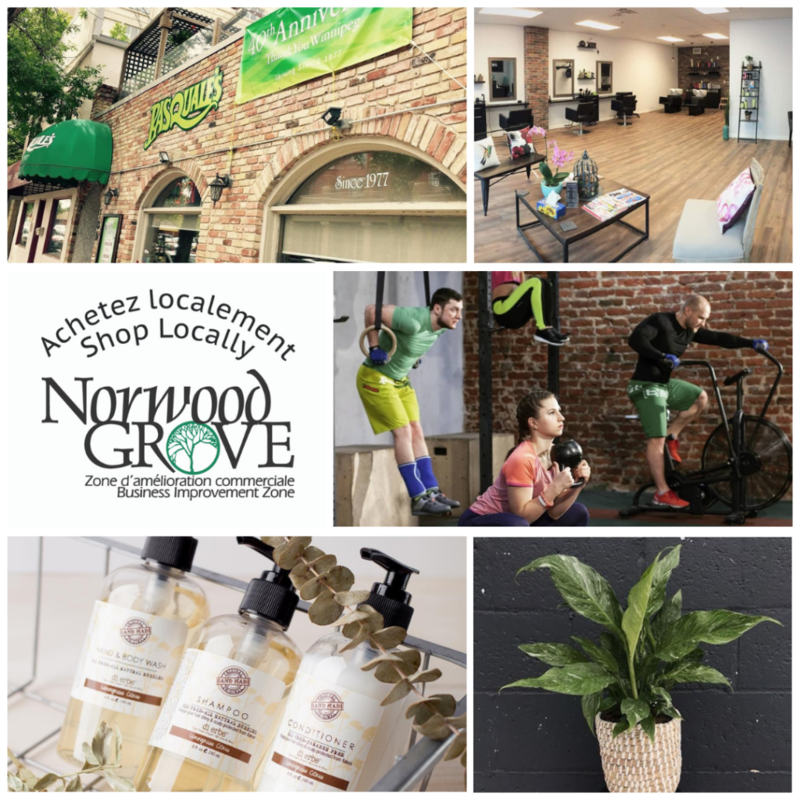 As the Holiday Season approaches Norwood Grove BIZ wants to remind you to Shop Local! Come visit our local businesses for some amazing deals and specials all starting November 16th! SMALL BUSINESSES ARE THE HEARTBEAT OF OUR NEIGHBOURHOOD, THE SPINE OF YOUR OUR ECONOMY, AND THE SPIRIT OF OUR CITY. 🛍️ Samantha James Hair Design – Up to 25% off select products plus buy 3 get one free! 🛍️ Hidden Treasures – 20% off all hand crafted ready made items in the studio. For a Free Family fun day filled with exciting activities for all ages join us for Art in the Park on Saturday, August 18th from 11 – 5. 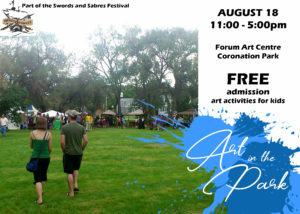 Artists will be with the Swords and Sabres Festival in Coronation Park, St. Boniface, Winnipeg sponsored by the Sons of Lugh & Friends. Enjoy Performers, Live Demonstrations & visit Merchants with all things Viking, Renaissance, Medieval, Steampunk & Pirates. Free Art activity for all ages & get your Caricature done by Winnipeg Artist Jon Ljungberg. Open House & Registration at Forum Art Centre, 120 Eugenie Street – Saturday, August 18 from 1 – 4. Take a tour of the centre, register for fall classes in person, ask us anything art related! www.forumartcentre.com or 204-235-1069. 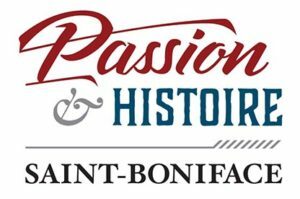 Bienvenue à St Boniface! Passion & Histoire. Travel Manitoba and Tourism Riel released the new brand for our community St Boniface! The new design speaks to our heritage and culture right here in the heart of Winnipeg. Since Norwood Grove BIZ had begun to update their area banners the BIZ decided to embrace the new brand and update our approved design to include the new St Boniface Logo. The banners are being printed and are expected to be installed in early summer 2018. Norwood Florist Design Studio is excited to offer the following Spring Workshops! Space is limited. Come join us at the Studio and try your hand at crafting your very own contemporary-styled wreath using unique greens and fragrant eucalyptus. Good music, a glass of wine and nibbles are included! By popular demand we have once again teamed up with our friends at Little Brown Jug! Get your hands in the dirt early this year and go home with a funky succulent garden. Learn tips on care and how to transition your green friends to the outside for the summer. Includes a complimentary brew! Join us at the Studio and learn how to style your own beautiful and delicate spring floral arrangement — All materials and florals included, just bring your creativity and maybe a friend or two! Good music, a glass of wine and nibbles make this a great afternoon out. Drop-in to design with miniature florals in a vintage bone china tea cup. You’ll learn the basic principles of designing with Oasis foam, cut flower care and ways to make your creation last as long as possible! Pop by and let us teach you to work with fresh evergreen boughs to design your own custom, fresh holiday wreath. Hot chocolate and holiday treats included! 139 Marion Street. All materials are included… just bring your creativity! your spot by noon the day of the workshop! Located just over the Norwood Bridge, minutes from Downtown and along the banks of the Assiniboine and Red River is Norwood Grove. A community rich in French Canadian Heritage and full of life. Find old buildings hosting new businesses, apartments and condos where a peek out the window you see tree lined streets, community events, festivals and a variety pubs, restaurants, shops and more. Cyclists can find easy parking for their bikes with the newly installed creative twist on bike racks and a stroll down the street is brightened by new LED street lamps that give a stunning glow to the many murals featured. Yep The Grove is pretty cool and changing every year with new additions and growth. Situé juste de l’autre côté du pont Norwood, à quelques minutes du centre-ville et le long des rives des rivières Assiniboine et Rouge, vous y trouverez le Norwood Grove – une communauté vibrante, riche en histoire et en culture francophone. Vous trouverez des vieux bâtiments abritant des nouvelles entreprises, des appartements et condos où d’un seul coup d’œil par la fenêtre vous verrez des rues bordées d’arbres, des événements communautaires, des festivals et une variété de brasseries, restaurants, boutiques et plus. Les cyclistes peuvent trouver facilement un stationnement pour leurs vélos grâce à une conception créative et novatrice de supports à vélo, nouvellement installés, et votre marche de santé est illuminée par des nouvelles lampes de rue LED qui donnent une lueur magnifique aux nombreuses peintures murales en vedette. Oui – le Grove est pas mal cool et change chaque année avec ses nouveaux ajouts et sa croissance. Matt Allard is delighted to announce that on March 23rd, Council unanimously approved permanent free admission to St Boniface outdoor pools! This summer, Happyland, Norwood, Provencher & Windsor Park outdoor unheated pools will be very popular! non numquam eius modi tempora incidunt ut labore et dolore magnam aliquam quaerat voluptatem. Ut enim ad minima veniam, quis nostrum exercitationem ullam corporis suscipit laboriosam, nisi ut aliquid ex ea commodi consequatur? Quis autem vel eum iure reprehenderit qui in ea voluptate velit esse quam nihil molestiae consequatur, vel illum qui dolorem eum fugiat quo voluptas nulla pariatur? tempora incidunt ut labore et dolore magnam aliquam quaerat voluptatem. Ut enim ad minima eniam, quis nostrum exercitationem ullam corporis suscipit laboriosam, nisi ut aliquid ex.